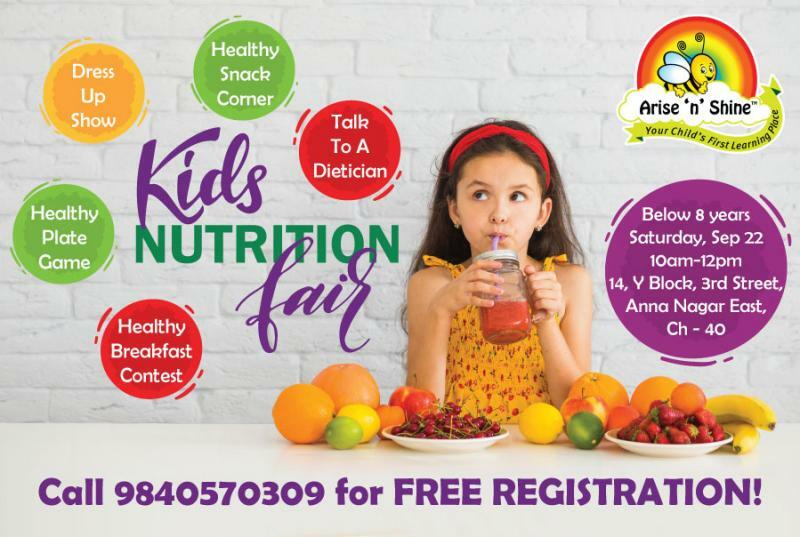 Arise ‘n’ Shine International Preschool-Anna Nagar East proudly presents the Kid’s Nutrition Fair on Saturday, September 22nd, 2018! Here is a fun and informative day for families to come and experience healthy and happy living. We have a series of activities for the day right from a healthy breakfast contest to a chat with a dietitian. Grab your friends and come join us for this exclusive event for children below 8 years. Call 9840570309 for FREE REGISTRATION!